The Smithsonian's National Zoo says it will review and work to improve its safety procedures following a shooting just outside its gates Monday afternoon. 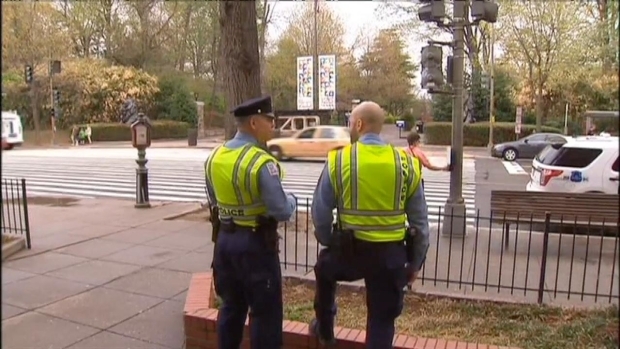 "We are very concerned about the incidents yesterday on Connecticut Avenue. People -- of all ages -- come to the zoo to see the animals and enjoy the festivities," said National Zoo spokeswoman Annalisa Meyer. "Our number one priority is safety. We’re going to do whatever it takes to ensure the safety of our visitors." The shooting was reported at 5:17 p.m. on a busy stretch of Connecticut Avenue in northwest D.C. According to D.C. police, a large group of between 30 to 50 people was traveling southbound on Connecticut Avenue when shots rang out. 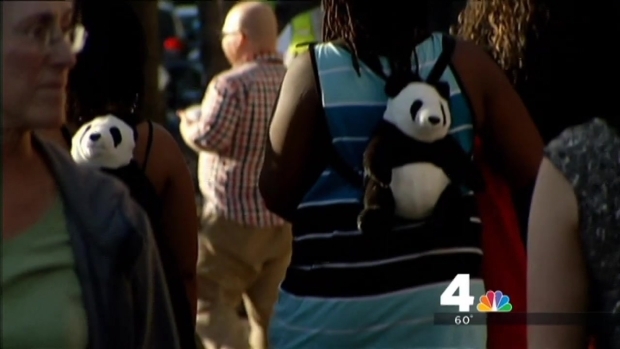 Families returned to the National Zoo one day after a shooting that sent 2 men to the hospital. 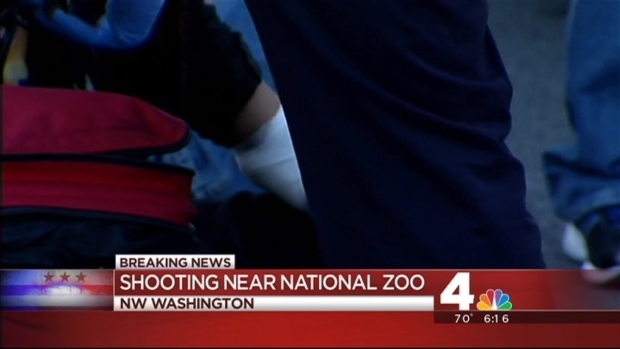 The National Zoo says it's working with police on security as investigators work to find the shooter. News4's Kristin Wright spoke to visitors. Police are reviewing security camera footage from businesses near the zoo, in hopes of finding the gunman. 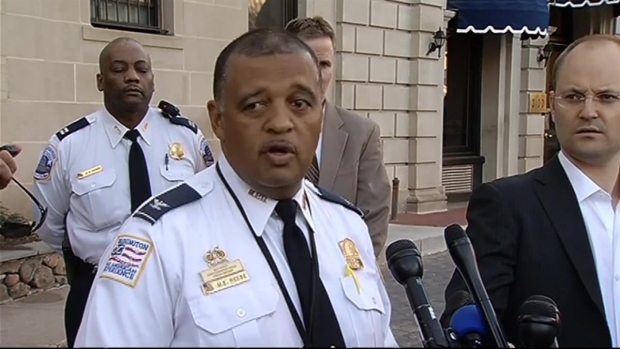 "We have no indication that there was an argument that precipitated the shooting," D.C. Police Cmdr. 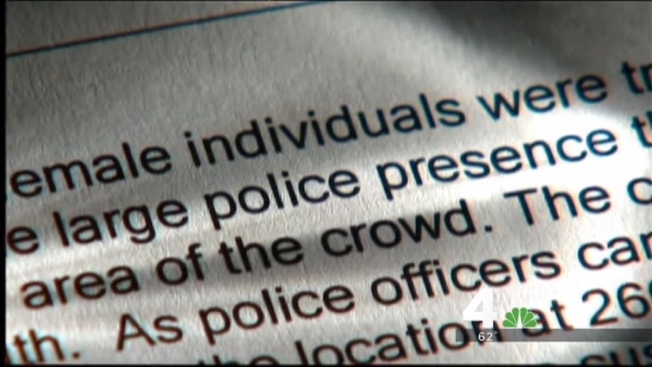 Michael Reese said during a news conference about an hour after the shooting. Jim Battagliese with WTOP-103.5 FM said he heard two shots and saw parents diving to the ground to protect their children. Police are reviewing security camera footage from businesses near the Smithsonian's National Zoo, in hopes of finding the gunman who shot two men outside the zoo's gates Monday afternoon. One 18-year-old man was shot in the hand and found outside the zoo. Four blocks down, another man, also 18, was found with a gunshot wound to his arm. Both injuries are non-life-threatening, and no suspect information has been released. Additional police presence spread to neighboring Metro stations immediately after the shooting. The zoo hosted Easter Monday: A Washington Family Tradition event throughout the day, with family-friendly activities and live entertainment. News4's Jackie Bensen reports from northwest DC, where two people suffered non-life threatening injuries in a shooting outside the National Zoo. "We were scared because we do have our kids out here," a mother who was at the zoo at the time told News4. "We were not expecting [a shooting] but we had a heavy police presence up here," Reese said. "We had multiple agencies... this is a very festive event. Numerous times nothing happened up here, but it's important for us to show a force and that's what we did." On Easter Monday in 2011, a 16-year-old stabbed a 14-year-old at the zoo. Mshairi Alkebular received an 82-month sentence after pleading guilty in that stabbing. News4's Jackie Bensen reports live from Connecticut Avenue NW where police are possibly transporting a second shooting victim. On Easter Monday in 2000, a 16-year-old shot seven people near the zoo entrance. That teen was sentenced to 25 years in jail. 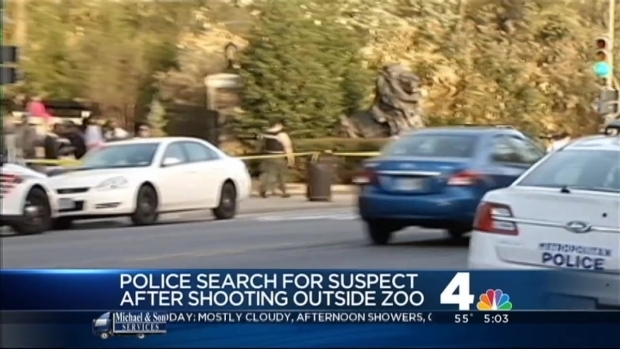 RAW VIDEO: Police detail what they know after a shooting at D.C.'s National Zoo that injured two people.